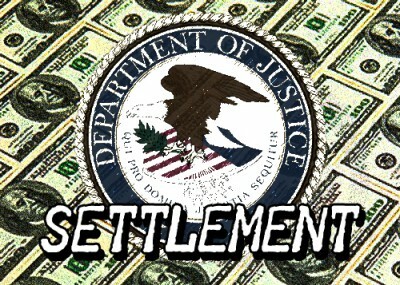 The Department of Justice has released a multimillion dollar agreement reached last month with an international Islamic banking network after a four-year criminal investigation. After stonewalling all requests for a copy of the report and refusing to discuss the non-prosecution agreement with the Islamic Investment Company of the Gulf (Bahamas), or IICG, for weeks, a copy was given to U.S. Rep. Frank Wolf, R-Va., late Friday. Wolf had written to Attorney General Eric Holder urging its release after reports of the secret deal first surfaced. The agreement strictly is based on tax issues, leaving it a mystery as to why DOJ officials fought against its release. During a hearing on terror financing Wednesday, Assistant Attorney General Lisa Monaco told U.S. Sen. Charles Grassley, R-Iowa, that she had no information on the deal and could not explain why it was being withheld. In the agreement signed Aug. 12, IICG admitted failing to pay $22.5 million in restitution, $4.5 million in fines and millions more in interest in exchange for not facing criminal charges. The agreement describes money flowing out of a Boston-based company in which IICG controlled the majority of stock and into a network of Cayman Island accounts. Millions of dollars came back in the United States to start up 32 different development companies involved in apartments and other multi-family housing. All the companies were incorporated in Delaware and have overlapping directors. Each of the 32 companies passed unanimous resolutions accepting the DOJ agreement. Several of those directors are officers in an international financial network founded by a Saudi prince. For instance, Khalid Abdulla-Janahi and Ziad, chairman and vice chairman of the Faisal Private Bank, signed many of the documents for the agreement. In addition, Juma Abull with Mohammed Bucheerei and Mohammed Janahi, who also signed many of the development company agreements, are officers at Bahrain's Ithmaar Bank, described as being associated with Faisal Private Bank. Acting IICG General Manager Syed Ibadur Rehman Chisti also is a director for Faysal Asset Management, Ltd.
Faisal Private Bank reportedly was investigated previously for possible terror financing links. The Wall Street Journal reported that it was mentioned in a Hamas financing case involving transfers to the group and its current deputy political director, Mousa Abu Marzook. Saudi Prince Mohamed al-Faisal also founded Dar al Maal al-Islami Trust (DMI Trust), which also has been suspected of involvement with terrorists. Two influential Muslim Brotherhood figures – Hasan Turabi of Sudan and Yusuf al-Qaradawi of Qatar, have been DMI Trust board members. "DMI is the hub of a network of banks and investment funds across Europe and the Middle East that cater to Muslims interested in strictly following Quranic principles, such as a bank on collecting interest," the Journal reported in 2007. "Some DMI affiliates came under scrutiny by U.S. counterterrorism agencies in the mid-1990s for suspected connections to extremists, government records show. Faysal Asset Management's website calls the IICG a "wholly owned subsidiary" of DMI Trust. When the investigation first came to light in early 2007, it was being handled by the Justice Department's counterterrorism section. The same prosecutor, Corey Smith, is a party to the agreement, but is now assigned to the tax division. Although DMI is not mentioned by name in the agreement or an accompanying statement of facts, attorneys for the Trust were among the signatories. The agreement leaves the door open to prosecution down the road if IICG fails to make its payments, broken into three installments during the next 15 months, or if it makes any "contradictory statement" to anything within the agreement. That seems unlikely. The agreement also makes a point of praising IICGB's cooperation in the case, explaining that it was "an important and material factor underlying the decision by the United States to enter into this Agreement." Deciding whether to release the document was based on "a careful balancing of the public's right to know, the impact on individual privacy interests, and the Department's interest in deterring future misconduct," Assistant Attorney General Ronald Weich explained in a letter to Wolf. But there remains no explanation for the delay, or Monaco's inability to bring it to the hearing Wednesday after Grassley made it clear in advance he intended to ask about it. IICG could not object. The agreement contains a specific clause saying the company "agrees that the United States, in its sole discretion, may issue public statement(s) based on this Agreement and the Statement of Facts." Atlantica Investment Corp., Beacon Street Investment, BR Investment Corp. Buckhead Investment Corp. Cascades Investment Corp., City Heights Investment Corp., CK Apartments Corp., Clarendon Investment Corp., Dadeland Investment Corp. DR Apartments Corp., Dry Creek Village Investment Corp., ED Investment Corp., EQ Breckenridge Investment Corp., Excalibur Investment Corp., Fairchase Investment Corp., FSC Investment Corp., Galleria Investment Corp., LS Apartments I Corp., ND Apartments Corp., OM Investment Corp. RP Apartments Corp., Saddlewood Investment Corp. , SAN Apartments Corp., SD Investment Corp., Signature Investment Corp., Sunset Village Investment Corp., TGA Investment Corp., TM Investment Corp., Town Lake Investment Corp., Tramonto Investment Corp., WM Apartments Corp., Woodland Pond Investment Corp.